Decorating does not need to be a tedious, unpleasant experience. To navigate this exciting (yet admittedly challenging) process, learn about the two options available below for displaying artwork through Bill Breneman Photography: Printed Images and Wall Displays. When you are ready to purchase an image, click the Fine Art link. Select a gallery, click a thumb-nailed image and then select the orange "Buy Photos" button at the top-right of the enlarged image. There are three printing options available: Lustre, Glossy and Metallic. 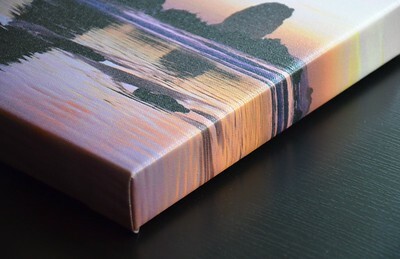 Lustre prints is most popular, as it combines the fingerprint resistance of matte with the color saturation of gloss, only without shine or reflection. Click on the image to see a larger view. Glossy prints have a shiny finish that give photos a very vivid look. They are smooth to the touch and have some reflective qualities to them. Click on the image to see a larger view. Metallic prints have a subtle and elegant shimmer which create rich, vibrant colors. When images feature subjects with significant contrast or where light tends to noticeably reflect off of objects - the nature of the metallic paper makes these details stand out. Click on the image to see a larger view. Bill Breneman Photography has some outstanding Wall Display options available: Traditional Canvas, Stretched Canvas, Flat Mounted Canvas, Metal, Acrylic Metal, ThinWraps and Wood. Learn about these beautiful options below. 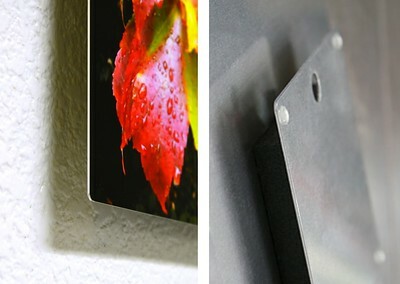 Metal Prints are created by fusing dyes into specially coated aluminum sheets. As an image is infused into the surface rather than onto it, images possess vivid luminescence, vibrant clear colors and details. Detail and resolution are unsurpassed. They are extremely durable, scratch resistant and waterproof. If fingerprints get on the finished surface, glass cleaner and a soft cloth removes them. Metal Prints are perfect for nearly any image from Bill Breneman Photography. Important: There are three finishes available: glossy (which has reflective properties, so light sources in your display space may affect viewing quality at certain angles). Satin (which defuses those light sources) and mid-gloss (which balances the best of both worlds - possessing the vividness of a glossy finish but with satin finish's ability to defuse external light sources). Metal Prints are “wall ready”, straight out of the box. 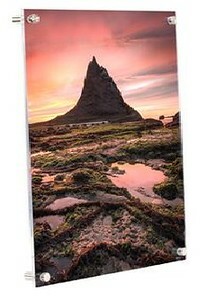 Acrylic Metal Prints are a sleek and modern option for a stunning metal print. The 1/4" acrylic face enhances and protects the underlying print and is mounted with four stainless steel standoff mounting posts. This will impact your wall more, as you will have four points of attachment to your wall, rather than one. Like Metal Prints, if you get fingerprints on the print’s finished surface, simply take glass cleaner and a soft cloth and clean it. You have three choices of finish: High Gloss (a brilliant, high gloss surface which shows every detail); Mid Gloss (High color intensity and excellent detail with reduced glare); and Satin (a smooth, very even and soft appearance). The higher the gloss, the more reflective properties the print will possess. Thinwrap Prints are a truly stylish way to display images. 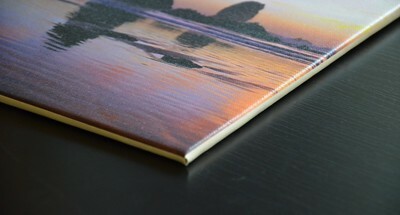 Photos are printed on metallic paper that's neatly wrapped around study, 3/16" Gatorboard - and which has a subtle and elegant shimmer - creating rich, vibrant colors. You have three choices of finish: Metallic/Satin (giving a glossy effect); Lustre/Satin (giving a smooth, satin feel); and Canvas/Satin (giving a textured look). All options minimize light reflection, making it an ideal display option for any space. ThinWrap Prints are “wall ready”, straight out of the box. 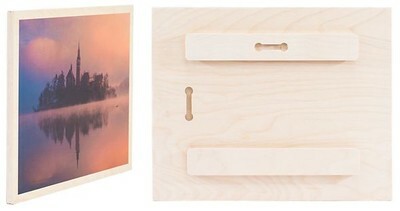 Wood Prints are unique and quite striking, possessing a warm and natural feel influenced by the color and texture of the certified, sustainable maple wood. The grain and wood testure will show through the lighter areas of the print. 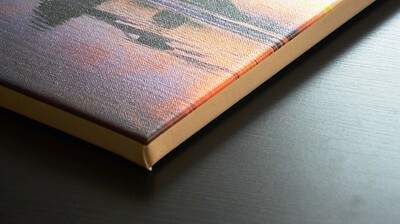 Wood Prints possess no reflective characteristics and are “wall ready”, right out of the box.